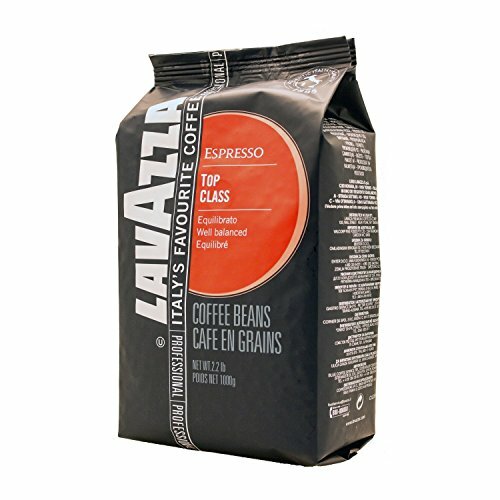 If you’re an espresso lover, you know this powerful brew tastes great just about anywhere, any time. The trouble is, it’s all too easy to find yourself in situations—relaxing at home, during a trip to the dentist, or in the middle of your hang gliding lesson—where don’t have access to an espresso maker available. We can’t really help with the dentist or the hang gliding. (And really, is caffeine what you need before you sit in that sadist’s dentist’s chair?) But if you’ve got a hankerin’ for espresso at home and don’t want to take out a second mortgage in order to buy a gleaming wonder from far-off Torino, you’ll be happy to know you can learn how to make espresso without an espresso machine. Whichever method you choose—AeroPress, Moka pot, or French press—you’ll be ready to caffeinate without breaking the bank. Ever since an enterprising Turinese gentleman named Angelo Moriondo invented the espresso machine back in 1884, discerning coffee lovers have cherished the deep, dark, and delicious brew. The three most important aspects to master if you want to understand how to make espresso are the roast, the grind, and the pressure used to brew the coffee. Once you’ve gotten the hang of all three, you’ll be well on your way to crafting a great espresso even if you don’t have access to hundreds of dollars’ worth of shiny Italian hardware. Traditionally roasted to a very dark finish, espresso has a much stronger, more potent flavor than drip coffee, which is one of the things you love about it, right? All those tasty coffee solubles are easier to extract from dark roasted beans than their less toasty counterparts. This is because longer roasting results in more porous coffee beans, increasing available flavor compounds that can be extracted more quickly once the beans are ground. Once it’s been roasted, espresso coffee is ground into a very fine powder. The fine coffee grind slows water penetration, which increases the pressure necessary to push the water through the filter and create a good shot of espresso. If the grind is too fine, however, it can block the coffee filter and ruin your coffee, not to mention your entire day. If you grind coffee beans at home (What do you mean, you don’t? Do we need to come over there? 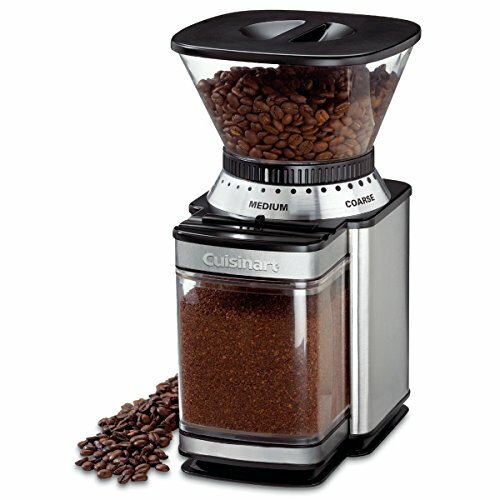 ), you can get a finer, more precise grind with a burr coffee grinder. It’s technically possible to hand-grind your beans to the superfine consistency required for espresso, but it’ll take you quite a while and require a lot of stamina, and the results won’t be nearly as predictable as with an automatic coffee grinder, though you may end up with some pretty buff biceps. Espresso machines work by forcing extremely hot water through finely ground coffee at enormous pressure—ideally, nine times atmospheric pressure, or nine bars. That’s about 130 pounds of pressure per square inch, or roughly twice the pressure in your average truck tire. Mere mortals can’t generate that kind of force by hand without specialized equipment, but you can mimic the pressurization process to create espresso-style coffee. Now that you’ve got those beautiful beans ground down to a fine powder, it’s time to put them to work and get yourself properly caffeinated. 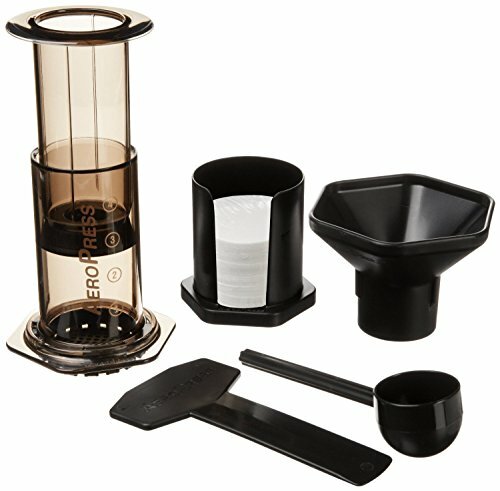 We’re huge fans of the AeroPress. It’s perfect for making a double shot of espresso. For a single shot, just cut the amounts of water and coffee in half. Once you’ve got your equipment and your beans, it’s time to make espresso! Heat 1 cup of water (8 oz or 234 ml) to 185°F (85°C). The ideal coffee brewing temperature is 205°F (96°C), just shy of boiling. However, with an AeroPress, you can experiment with water temperatures anywhere between 185°F and 205°F (85°C and 96°C) until you find your ideal temperature. Grind your beans to a fine consistency until you have 2 tablespoons (1 oz or 28.3 grams). Put a filter in the AeroPress drain cap and rinse it with hot water. Put the drain cap on the AeroPress and place it directly onto your coffee mug or tumbler. Make sure you choose a sturdy cup because you’ll be putting pressure on it. Transfer your ground coffee to the AeroPress. Tamp down the grounds, making sure the “puck” of coffee is nice and tight. You can use an espresso tamp to handle this chore, or use any cylindrical item with a flat bottom that’ll fit into the your AeroPress. Measure out ½ cup (4 fl oz or 120 ml) of the heated water. Pour the water into the AeroPress and give it a quick stir. Wait 30 seconds after stirring, then plunge with just the weight of your hand. You’ll probably feel strong resistance, but keep pushing steadily. Once the plunger is fully depressed, remove the press from your cup. Transfer your freshly brewed espresso to your favorite cup, and enjoy! When it’s time to clean up, simply remove the drain cap from your AeroPress, hold it over your trash can or composter, and push down the plunger to pop out the grounds. Rinse everything with hot water, and you’re ready to make another cup. If you’re a fan of coffee that’s quick and easy, but still tastes great, there’s really no reason not to own an AeroPress. It’s a convenient and powerful tool to have in your coffee arsenal and pretty forgiving if you’re learning how to make espresso or even just branching out from drip coffee. A favorite in Europe and Latin America, and with coffee fans around the globe, the Moka pot might not be an espresso maker, but it is a marvel of Italian engineering. 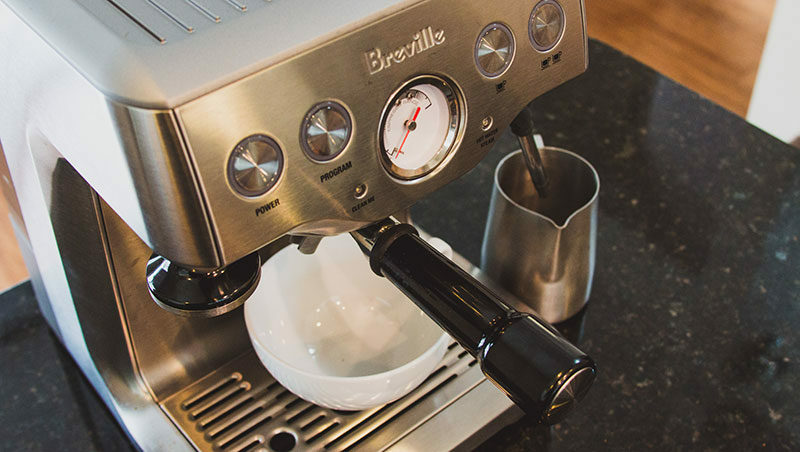 It adds water pressure, via steam, to the mix, helping to simulate that distinctive espresso taste and feel. If you’re wondering how to make espresso—or at least the next best thing—like the coffee glitterati, a Moka pot is your answer. Once you’ve collected your gear and beans, it’s time to join team Moka. Measure and grind 4 to 4½ teaspoons (.71-.78 oz. or 20-22 grams) of coffee. As with the AeroPress method, you’ll want to grind your coffee to a very fine, caster sugar texture. Add enough water to the bottom of your Moka pot to reach the fill line. Don’t overfill the reservoir, as this can waterlog your coffee and negatively affect the flavor. Add the ground coffee to the filter basket of the Moka pot. 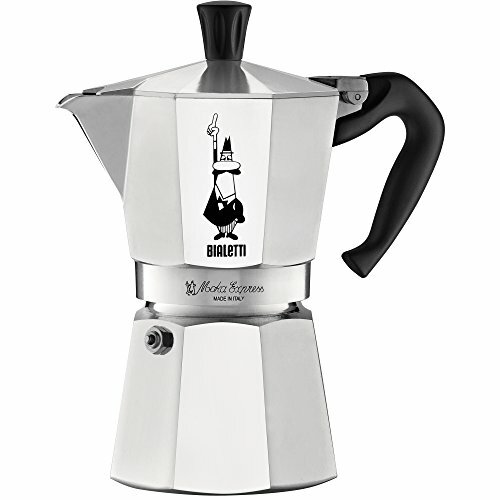 Attach the Moka pot’s spouted top. Place the assembled Moka pot on stovetop burner over medium heat. The water in the lower chamber will boil as it heats, and the pressure will push a stream of coffee through the filter and into the upper chamber. Listen for a hissing sound. Look for the hazel brown foam that appears just seconds before the coffee is completely done. When the top of the Moka pot is full of coffee, remove it from the burner. Give the coffee in the upper chamber a quick stir with the small spoon, and serve. Mastering the Moka pot is as much an art as it is science—not exactly a surprise, given that the perky little percolator hails from the land of Da Vinci —and you’ll probably need to brew a few pots to get your coffee just right. That’s half the fun, though, and once you’ve gotten the process down, you’ll have a classy, and classic, way to enjoy the espresso experience at home. If you’re a serious coffee lover, chances are you already have a French press in your kitchen. So why not use it to make your favorite espresso drinks? You might think of it as a “big grind” brewer, but with a little tweaking and some careful techniques, you can learn how to make espresso in your trusty French press. Armed with your gear and your grind, you can press forward (sorry, we couldn’t resist). Grind your coffee very fine, using very dark roast beans or espresso beans. You’ll need 2 tablespoons (1 oz or 28.3 grams) of beans for every 1 cup of water. Fill your kettle and heat the water to a boil, then set aside for 30 seconds before brewing. Add the coffee grounds to your French press. You’ll be using roughly double the amount of coffee you would normally use for French press coffee. This will give your brew a stronger flavor and darker brew, reminiscent of espresso. Use your hot kettle to add a few splashes of water to the French press and let it rest a few seconds. This allows your coffee to bloom, releasing its oils and aromatics. Add the rest of your water to the French press. Don’t stir it—this will cause the grounds to fall out of suspension and potentially ruin the extraction of tasty coffee flavors and richness. Close the lid—don’t plunge yet!—and allow your coffee to steep for around 4 minutes. If you prefer your espresso stronger, you can let it steep for a minute or two longer. Don’t let it go for too long, though, as this can lead to over-extraction and a bitter, drying taste. Press down the plunger on your French press with slow, steady, and even pressure. Plunge halfway, and then raise the plunger to the top before plunging all the way down to finish the press. Pour your coffee into a serving pot. This will halt extraction and help preserve the coffee flavor you’ve worked so hard to create. 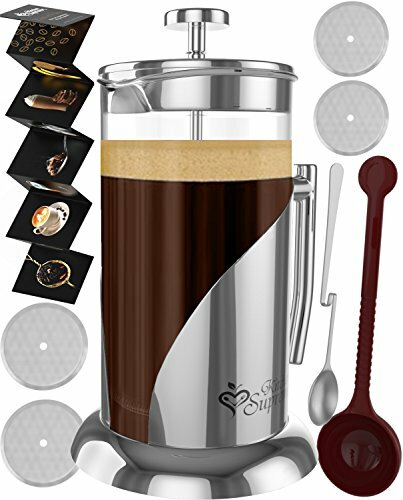 Serve your “French press-o” and enjoy! As it’s not really designed for espresso making, the French press is the least effective of the three options. But if you’re in the mood for espresso and don’t have any other equipment handy, it’s an easy way to brew a very strong shot of coffee if you remember to keep the grind fine, extract in a timely manner, and serve the coffee immediately after brewing. There’s no need to sell a kidney or knock over your neighborhood java joint to enjoy a good shot of Italian coffee. No matter your budget or skill level, you can learn how to make espresso with everyday brewing equipment and quality coffee. Just remember the three key factors—roast, grind and pressure—and you’ll be making some truly impressive “pseudopresso” in no time.